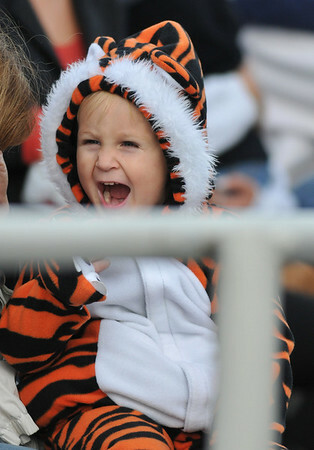 Gloucester: Luke LoCoco 3, roars for the Tigers A Team while his sister Lexie a cheerleader for the Tigers, cheers her team on,Sunday afternoon at Newell Stadium. Desi Smith Photo/Gloucester Daily Times. November 1,2009.